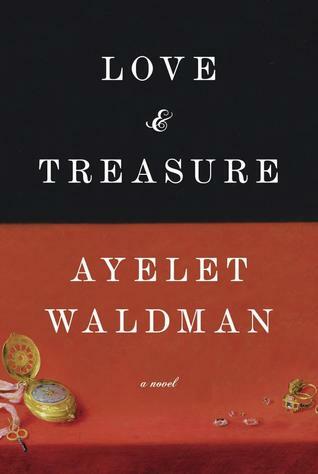 My review of Love and Treasure is up at the Atlantic Highlands Herald. Head on over and see what I thought! Yay! This was the first Waldman book that I've read. I liked her writing and I liked reading about an aspect of WWII that is less covered. I've read her book Love and Other Impossible Pursuits, which isn't historical fiction. Waldman is certainly a talented writer. I'm a little in awe that she and her husband are both so gifted and prolific! Great review! Is there a way that I can comment on your review on that site? I just wanted to say what a good job you did, if not then I will just say it here. Congrats on having your reviews published there! This book sounds interesting to me! Thanks Rita. It's the online newspaper of my hometown, so it's fun for me! I don't think there is a way to comment right on the website, though. Great review! What an interesting perspective on WWII in this novel. Thanks! I appreciated reading a different piece of the story. It's fun to read something outside of your usual picks once in a while, isn't it?! ?